Are you a collector of hobby trains? Collect this! 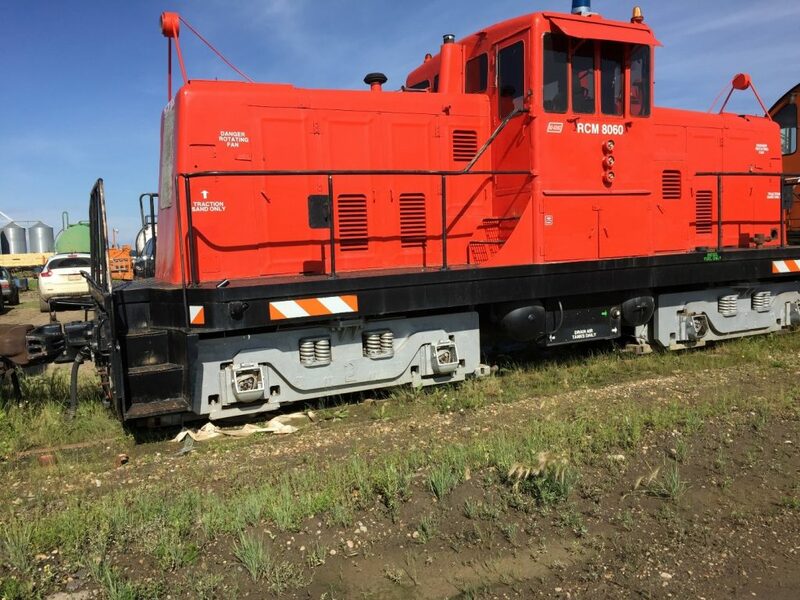 Refurbished 1952 RCM 8060 – 80 Ton 470 hp Diesel-Electric Locomotive. Rebuilt engines (2) approximately 5 years ago. Electric motors re-wound. Original engine operation and maintenance manuals on hand. All service records available. They aren’t for everyone but, these bad boys PULL. Completely rebuilt. Railcar Mover Maintenance – It’s all about the hours!!! Your railcar mover dealer should be prepared to give you a recommended maintenance schedule. These maintenance manuals are very specific about what to do at various times throughout your maintenance program. For example, the manual will outline what work is recommended at 250 hours, 500 hours, 750 hours, etc. Also, a variety of visual inspections and field tests should be incorporated into your maintenance schedule. Plus don’t forget the simplest of all inspections – the operators Daily Check List which include visual inspection, refilling sand boxes, checking fluid levels, exterior lights and instrumentation. Lastly, don’t forget about your wheels – these will wear over time and in some cases flatten. There are wheel gauges available to make certain that you and your machine are in compliance with local rail regulations.